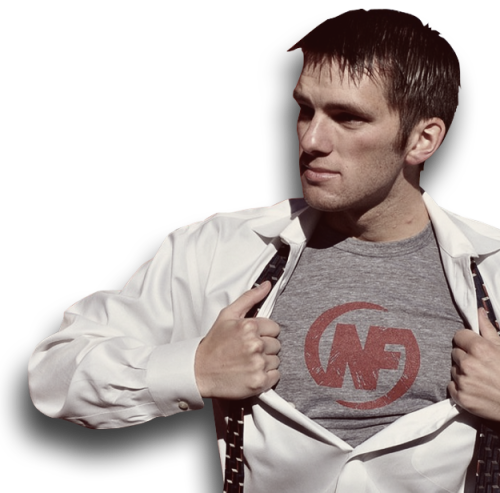 Weight Lifting Gloves Blog Our interview with Steve Kamb from Nerd Fitness!! 1)We are HUGE fans of Nerd Fitness, why did you start the site? What is the genesis of Nerd Fitness? I started Nerd Fitness because I simply couldn’t find a place on the internet that provided what I was looking for: no-nonsense, unbiased information on getting fit in a fun way. After looking through hundreds of sites that promoted supplements, ‘top secret’ workout plans, and were covered in ads, I thought there was a better way. I also happened to be a huge nerd (I’ve built my own computer, spent a LOT of my time playing video games, and buried my face in fantasy novels whenever possible). When I set out to start a website and provide that information for beginners, I googled “nerd fitness,” and nothing popped up, so I bought the domain, spent a year studying and learning more about health and fitness, and then just started writing articles and helping people. To this day, the only investment that came into Nerd Fitness was the $100 to buy the domain and a year or two of hosting! 2)At WeightLiftingGloves.com we are all about hand protection, there is a lot of debate in the weight lifting world about wearing gloves to protect your hands. Where do you fall? If you wear gloves, or wrist wraps is there a specific type you use? I’m old school, and try to train as naturally as possible. I like the idea of not needing anything in particular to be able to train whenever, wherever. I also spend a significant portion of my workouts using gymnastic rings, so all of my workouts are natural: no gloves, no straps, no pads: just some chalk and some serious patience to build up some callouses! The way I see it, if my grip strength isn’t strong enough to dead lift something without straps, then it’s my body telling me I have comparatively weak grip strength and that’s something I need to work on. It makes for a much longer road, but it’s also helped keep me injury free and more balanced and functional. 3)A lot of folks lack the discipline to combine steady workouts with changes in diet, what are some ways you’ve overcome this? We all know what we need to do, but we can’t get ourselves to do it! I’ve spent years digging into the behavioral psychology that causes us to have this disconnect: not getting ourselves to do the things that are best for us, and I’ve found that applying video game mechanics and a nerdy mentality to my training helped me continue to that path. For starters, I’m not working out in a gym, I’m training to become Captain America. Next, I created a system of rewards and accountability that made me more likely than not to actually exercise and eat better. Lastly, I surrounded myself with an elite squadron of people that are also living better lives so I’m constantly influenced by positive people. What I ended up finding, and what I’ve heard from tons of other people on Nerd Fitness is that although they began to get in shape with extrinsic goals and rewards in place (I want to lose weight to look better, when I lose 40 pounds I’ll buy myself a new wardrobe, etc. ), as time rolled on they found that they started to fall in love with how working out and exercising made them feel – the reward became the exercise. 4)We heard you’ve written a soon to be released book, tell our readers a little about it and where they can get it? I did! Holy crap I wrote a book! The book is called Level Up Your LIfe, and it’s a strategy guide to help people build a life of fun achievements and quests that are meaningful to them and helpful to others. It tells my story of transforming myself from shy, risk-averse daydreaming wanna be to world traveling, music playing, gymnastic training superhero. It also shares more than a dozen stories of members of the Nerd Fitness community from all walks of life who have done the same thing and gamified their lives. The book aims to help anybody that considers himself/herself a nerd and wants to start using their favorite games, books, and movies as inspiration to live healthier and happier rather than an escape from a life they’re not proud of. You can learn more (and even create your own character and quest list!) at LevelUpYourLife.com or NerdFitness.com, and it’s available for sale at Amazon, iBooks, and Barnes and Noble nationwide! 5)I read on your site that “we workout because its fun” what are some creative ways people can make their workouts more fun? When people tell me they don’t like exercising, then I tell them they haven’t tried enough activities yet. Because diet is 80-90% of the battle, we encourage people to find an activity that gets their heart racing and their body moving and puts a smile on their face. From rock climbing to parkour to martial arts to yoga to live action role playing to dance to gymnastics to hiking to kickball, there are a million ways to have fun and get fit at the same time. Keep searching and trying new things!